wdnicolson.com - An NRL Blog: #NRL 2014: NOT The Footy Show Episode 150 - Live Sunday Footy Coming? 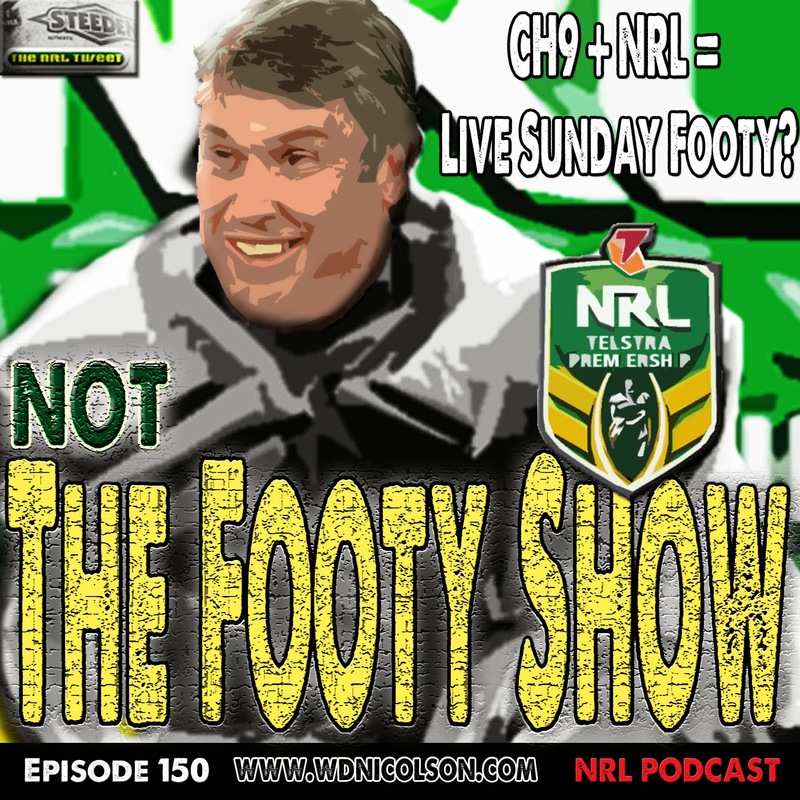 #NRL 2014: NOT The Footy Show Episode 150 - Live Sunday Footy Coming? Matt and Waz catch up to talk Channel 9 and the NRL getting together to make Sunday Arvo Footy... Live? Plus DC gets Foxtel!!! !, we pay tribute to Jharal Yow Yeh (Waz apologises for butchering his name at least 3 times) and our 'exclusive' NRL Star Spotting Segment debuts! All in just 18 minutes of NOT The Footy Show Podcastable goodness - recorded Monday March 17 2014.